It may be surprising to hear, but it is a plain historical fact that modern international jihad originated as an instrument of US foreign policy. The “great menace of our era” was built up by the CIA to wage a proxy war against the Soviets. A 1973 coup in Afghanistan installed a new secular government that, while not fully communist, was Soviet-leaning. That was a capital offense from the perspective of America’s Cold War national security state, at the time headed by Henry Kissinger. Conveniently for Kissinger, the dirt poor country was sandwiched between two US client states: Pakistan to the east and Iran (then still ruled by the CIA-installed Shah) to the west. Immediately after the coup, the CIA and the clandestine security agencies of Pakistan (ISI) and Iran (SAVAK) began regime change operations in Afghanistan, orchestrating and sponsoring Islamic fundamentalist insurrections and coup attempts. Due to these efforts, as well as the government’s own oppressiveness, a widespread rebellion broke out in Afghanistan in 1978. In July 1979, US President Jimmy Carter, on the advice of National Security Adviser Zbigniew Brzezinski, officially authorized aid to the puritanical Mujahideen rebels, to be delivered through the CIA’s “Operation Cyclone.” This was on top of the unofficial aid that the CIA had already been funneling to Afghan Islamist insurgents for years through Pakistan and Iran. Shortly thereafter, the highest cleric of Saudi Arabia (another US client) endorsed a fatwa proclaiming jihad against the atheist Soviets in Afghanistan as an obligation for all Muslims throughout the world. It should be noted that the Saudis have a narrow definition of a true “Muslim,” as they follow Wahhabism, one of the most extreme and intolerant strands of Islam, highly similar to ISIS’s own. 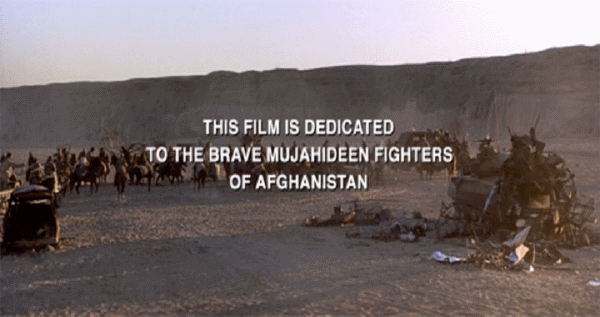 Throughout the 1980s, Saudi Arabia also provided the Afghan Jihad with hundreds of millions of petrodollars in aid and tens of thousands of madrassa-indoctrinated volunteer fighters. “Money started pouring in. CIA agents starting going all over the Muslim world recruiting people to fight in the great jihad. Bin Laden was one of the early prize recruits. He was not only an Arab. He was also a Saudi. He was not only a Saudi. He was also a multimillionaire, willing to put his own money into the matter. 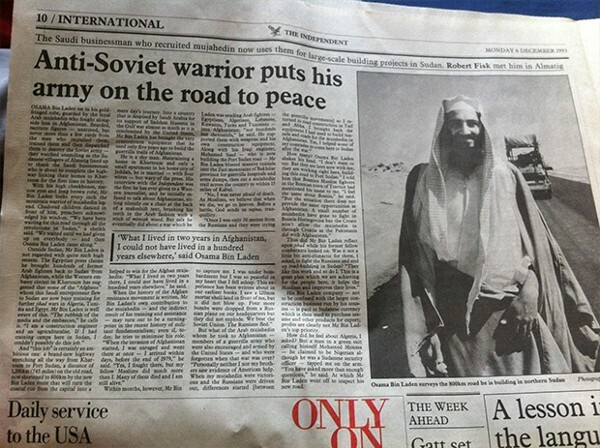 Bin Laden went around recruiting people for the jihad against communism. 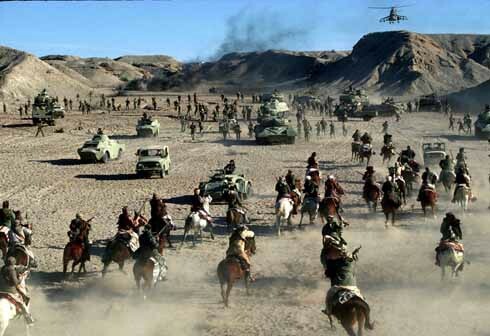 After a decade of bloody war, the Soviets withdrew from Afghanistan in February 1989. Later that year, the Berlin Wall fell and Romania left the Soviet-led Warsaw Pact. The year after, Poland and East Germany followed. And in 1991, the Warsaw Pact and then the Soviet Union itself both dissolved completely. But it was not really a collapse. The Soviet Empire did not descend into failed-state chaos, the way Afghanistan, Iraq, Libya, Syria, Yemen, and Somalia recently have thanks to the American War on Terror. That is what a true “collapse” looks like. In contrast, what happened throughout the Soviet Empire was not a violent collapse, but a relinquishing of power and a generally peaceful dissolution. Such an outcome rarely results from war. To the contrary, war is the health of the State, as Randolph Bourne taught. War tends not to loosen, but to tighten a regime’s grip on power. It is not war, but peace and detente that can lead to peaceful dissolution. It is when people no longer feel so besieged by enemies abroad that they feel secure enough to demand greater freedom (even to the extent of full secession) from their “protectors” and rulers. It was the Reagan-Thatcher-Gorbachev thaw of Reagan’s second term that created the necessary climate for ending the proxy war in Afghanistan. And it was the subsequent combination of far-abroad detente and near-abroad peace that created the necessary climate for the Soviet dissolution. Brzezinski’s jihad did not win the Cold War. It only sowed the seeds for the Terror War. In 1990, the US seized the emerging post-Berlin “unipolar moment” of peerless preeminence by launching its first globocop “police action”: the Persian Gulf War (Operation Desert Storm) against Saddam Hussein’s regime in Iraq. Desert Storm was preceded by Operation Desert Shield, in which the US built up a military presence in Saudi Arabia (troops, arms, and bases) for use in staging attacks on Iraq in the upcoming war. Contrary to US promises, the military occupation of Saudi Arabia persisted after the war, as the bases were used to enforce a blockade on Iraq throughout the 90s (which starved over a half a million children). This had a twofold impact on Islamic radicalization. “He turns at a particular moment. 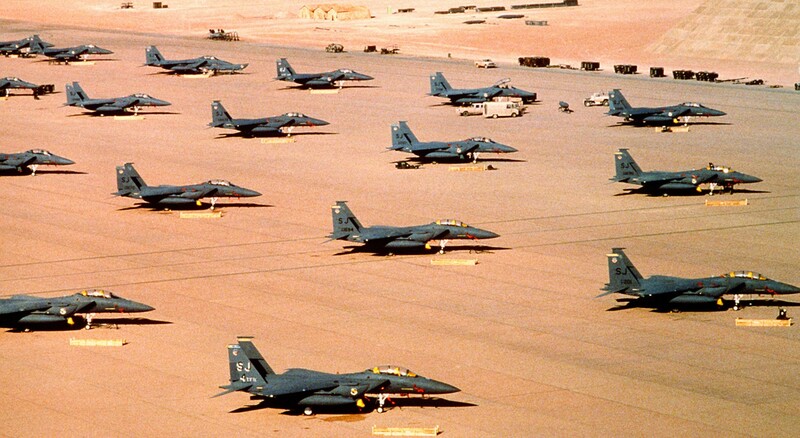 In 1990, the U.S. goes into Saudi Arabia with forces. Saudi Arabia is the holy place of Muslims, Mecca, and Medina. There had never been foreign troops there. 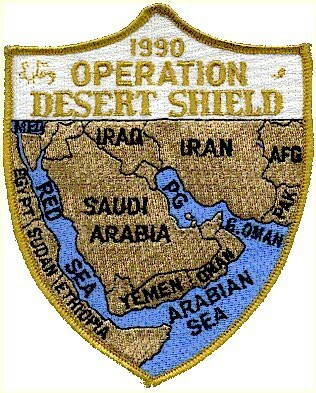 In 1990, during the Gulf War, they went in, in the name of helping Saudi Arabia defeat Saddam Hussein. Osama Bin Laden remained quiet. As it turned out, his largest-scale project was to build up the international militia that the CIA helped him recruit into Al Qaeda, which he would then lead in a terror jihad against the West throughout the 90s. With that wave of attacks in mind, Brzezinski’s 1998 interviewers asked if he had any regrets over blowback from Operation Cyclone. The statesman was totally dismissive. 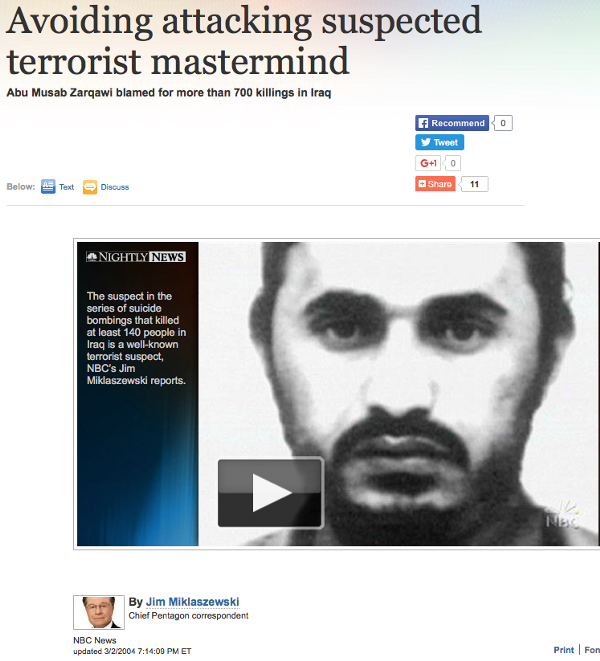 Three years later, Brzezinski was proven spectacularly wrong, and Ahmad tragically right, when the terror jihad of Bin Laden’s Mujahideen-descended band of “stirred-up Moslems” culminated in the attacks of September 11, 2001. During the planning of those attacks, Bin Laden and his inner circle were hosted by the Taliban, yet another band of Mujahideen-descended “stirred-up Moslems,” then ruling Afghanistan. As Ahmad foretold, the chickens of the CIA’s Afghan Jihad (and of the Gulf War) had indeed come home to roost. True to their names, Operations Cyclone and Desert Storm sowed the wind. Years later, it was 3,000 American civilians who reaped the whirlwind. Incredibly, that whirlwind harvest was then reseeded, ensuring that still more civilians would later reap an even bigger whirlwind. Apparently cultivating chaos is the only trade that empires know. The regime and its kept news media sowed the whirlwind by exploiting America’s post-9/11 fear and anger to garner acquiescence for even larger and more frequent foreign misadventures: for a globe-spanning Long War that continues to this day. First came the Afghanistan War against the Taliban and in pursuit of Al Qaeda. Almost inexplicably, Bin Laden escaped into hiding in US-alliedPakistan after being pinned down in the caves of Tora Bora. It is somewhat less inexplicable in light of the fact that the neocon-led Bush administration was trying to fear-monger the public into countenancing another war in Iraq, and that this involved pushing bogus intelligence connecting Saddam Hussein with Al Qaeda. At least until the regime got its post-9/11 bonus war, it was convenient to still have Dread Pirate Osama at large to keep America’s war fever up. Better dread than dead. Similarly, in 2002, the Bush administration denied the military’s request for permission to kill another figurehead terrorist: Abu Musab al-Zarqawi, who had in the 80s been yet another recruit for the CIA’s Afghan Jihad. That too was likely about the administration getting its war in Iraq. At the UN, Secretary of State Colin Powell falsely identified Zarqawi as a link between Saddam and Al Qaeda (he was allied with neither, and an enemy of the former), in order to paint the planned invasion of Iraq as a necessary front in the War on Terror. As it turned out it was the Iraq War itself that unleashed Zarqawi in 2003, freeing him to emerge from autonomous Kurdistan, where he had been hiding from Saddam’s security forces under the protective aegis of an American no-fly zone. His formerly obscure terrorist gang rapidly ascended amid the chaos of the Iraq War, becoming Al Qaeda in Iraq or AQI (after Zarqawi swore allegiance to Bin Laden), and then the Islamic State in Iraq or ISI (after Zarqawi was finally killed). After suffering severe setbacks in Iraq, in 2011 the Zarqawiites began infiltrating neighboring Syria to take part in the insurgency against Bashar al-Assad’s regime. 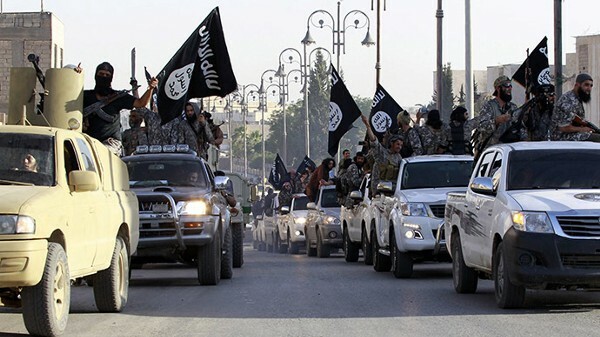 Thereafter renaming itself ISIS (Islamic State in Iraq and Syria), the group, along with its offshoot the Al Nusra Front and other Mujahideen militias, came to dominate that insurgency. The growth of ISIS and Nusra in Syria was fed by the United States (the State Department, the Pentagon, and the CIA) and its Western and regional allies (the UK, France, Turkey, Saudi Arabia, the Gulf States, etc.). By at least 2012, these powers had launched a veritable Operation Cyclone 2.0: recruiting, training, financing, and arming Mujahideen fighters for the purpose of overthrowing the secular ruler Assad (who, like the post-1973 secular Afghan regime, is an ally of Russia). Just as in Afghanistan decades ago, young men, radicalized by the call to jihad and militarized by the promise of weapons and money, have poured in from countries throughout the Muslim world, and from Europe too. This has not only led to the death of hundreds of thousands of Syrians and the displacement of millions, but has turbo-boosted ISIS and Nusra in myriad ways. 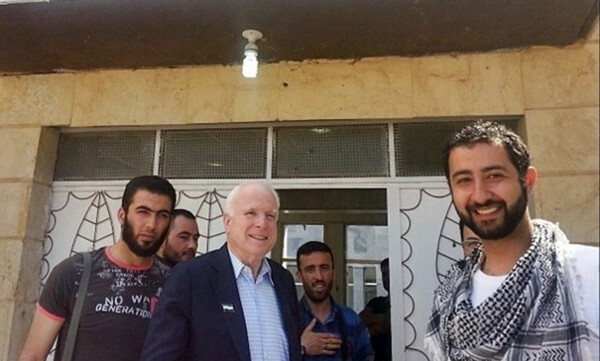 US Senator John McCain with mujahideen from the Northern Storm Brigade. The Syrian Jihad, like the Afghan Jihad, was preceded by less direct and lower grade subversion using militant Islamists. 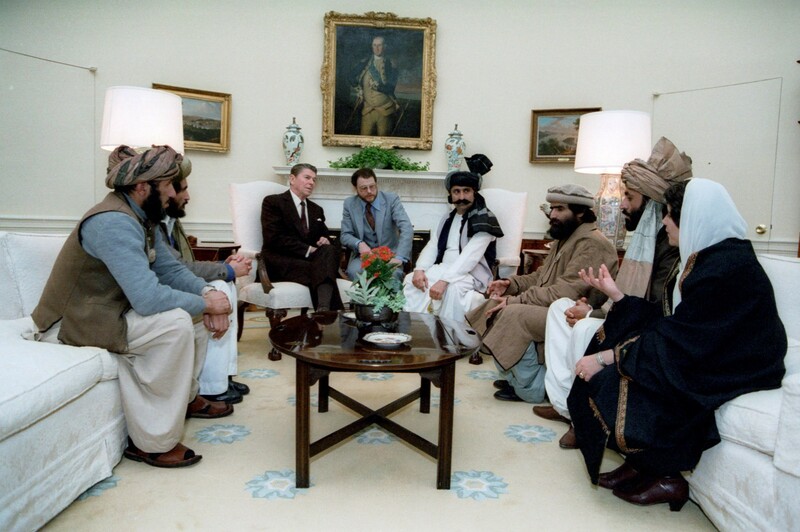 In the Afghan prelude, America’s dirty work was done by Pakistan and Iran. In the Syrian prelude, it was done by the Saudis and lesser Gulf Sheikdoms, who with US approval, began sponsoring anti-Assad Salafist militias in neighboring Lebanon as early as 2006. Yet, regarding Syria, the American deep state has been just as much sinister as it has been gullible and hubristic, if not more. As a recently disclosed Pentagon intelligence report reveals, US planners knew full well that they were once again “sowing the cyclone,” and that others would soon “reap the blowback.” The report from 2012 predicted that supporting the Syrian insurgency would create “the ideal atmosphere” for ISIS “to return to its old pockets” in Sunni Iraq and also create “the possibility of establishing a declared or undeclared Salafist Principality” in the region. And that is precisely what happened. In 2014, strengthened by the US-backed Syrian Jihad, ISIS burst back into “its old pockets” in Iraq, conquered the northwest of the country down to the gates of Baghdad, and declared a Caliphate (a Salafist Principality). 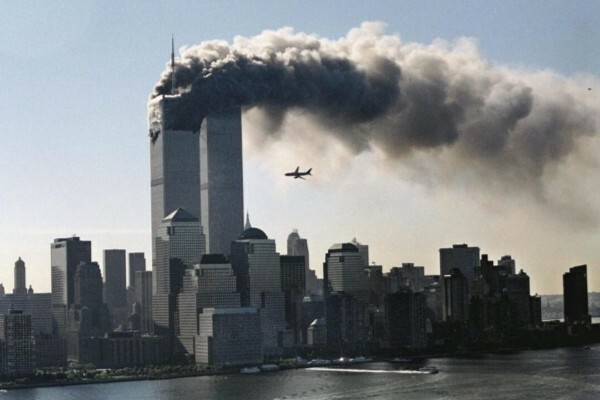 The wind sown by Operation Cyclone took two decades to fully germinate into the blowback that blew the Twin Towers down. 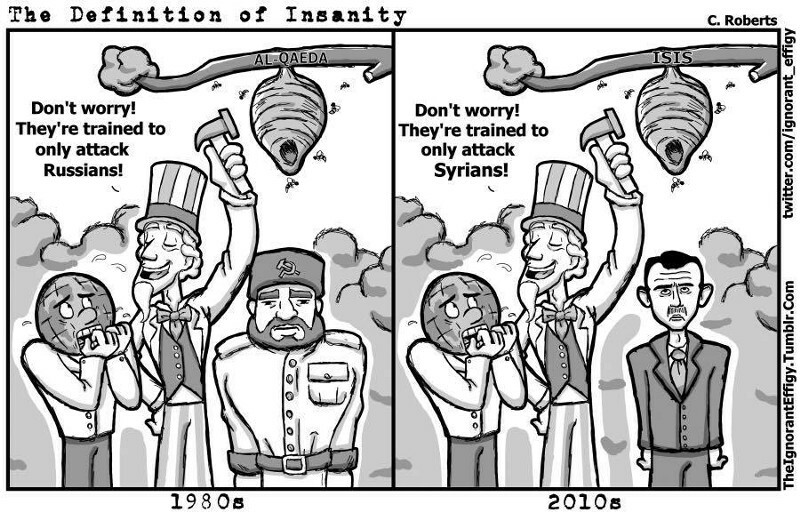 Yet it only took two years for us to reap the whirlwind from the Syrian Jihad. Scott Horton proposes the term “backdraft” for blowback that is so prompt and predictable: like the firestorm that immediately erupts in your face upon opening the door of a burning hot room. The US and its allies have opened the door to Hell in Syria. And the ensuing ISIS backdraft has lately spread far beyond Syria and Iraq, consuming 44 lives in the bombing of a Beirut marketplace, 224 lives with the bombing of a Russian airliner, and 130 lives with the recent attacks in Paris. It took longer than it did in 1979, but America’s current proxy jihad has drawn in Russia once again. The chief difference is that this time, the US and its allies are not limiting themselves to covert ops, but are involving their air forces as well. This is ostensibly to “destroy” ISIS. However, the US-led coalition also wants the Assad regime gone, while the Russian-led coalition is trying to save it and to fight the US-supported non-ISIS Mujahideen as well (including Syrian Al Qaeda). So the countless warplanes buzzing over and bombing Syria are flying at cross purposes. This has turned the Levant into a nuclear powder keg. Remember, Turkey is a NATO member, who can drag the entire West into a thermonuclear war if it picks a big enough fight. The backdraft we reap from this latest American jihad may consume us all. Even if we survive this near-term global existential crisis, our warlords have more in store for us. 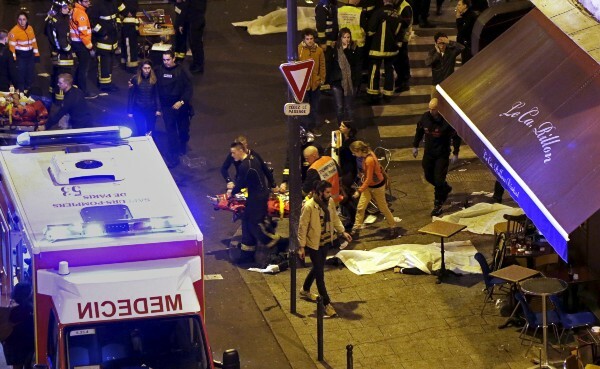 The Paris attacks especially have yielded yet another crop of fear and loathing in the West, which the tillers of terror are keen to plow right back into still more proxy warfare and mayhem. But they cannot do so if we, their tax cattle, refuse to pull the plow or let them drive us like beasts of burden that are so easily spooked and prodded. We the people must convey that if they do not stop cultivating the storms of chaos, then we will cast off their yoke once and for all. Also published at DanSanchez.me and Medium.com. Follow Dan Sanchez via Twitter, Facebook, or TinyLetter. Previous Previous post: Declare Victory, Come Home? Is Wonder Woman War Propaganda?